Beautifies the skin by providing moisture and proteins, which enhance elasticity and minimize fine lines and wrinkles for a smooth, youthful appearance. 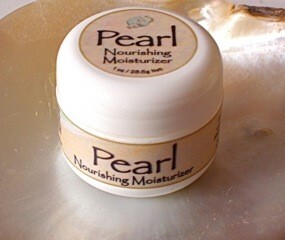 It is specially formulated with pearl powder and a blend of Chinese herbs in an oil-free fruit base. It spreads well and can be applied under makeup. NO harmful chemicals, ingredients, or animal testing are used with this uniquely natural product. DIRECTIONS: After cleansing, apply a small amount on the face and spread in a circular motion. US$39.95+ Postage (depends on location). Shipped from CA, USA.